So this morning EcoCash stepped up its game by introducing its latest innovation called EcoCash Business Wallet. This is a wallet dedicated to business and is meant to give them more control of their funds. Businesses will now be able to make and receive payments directly into their Business Wallets. 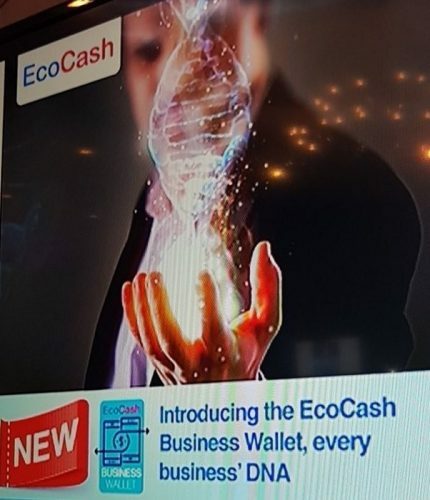 EcoCash’s Business Wallet is an extension of the existing Ecocash wallet that catered for individuals but forgetting to satisfy the unique requirements of businesses. By unveiling its Business Wallet, EcoCash has become the first to offer a Business Wallet around a mobile wallet. What’s the big deal with EcoCash Business Wallet? Before this Business Wallet, when a merchant wanted to move their money out of EcoCash and put it into their banks’ account, they had to physically go to EcoCash and ask for their money to be moved. Well this time the game has changed, merchants now can move their funds from the comfort of their offices on their phone or computer. This function is what they call ‘self-liquidation’. Also, its business wallet is going to make it easier for business to get their funds (huge funds to be exact) within 24 hours rather than waiting for days. let alone to enable businesses to move their money with any financial institution anywhere and anytime. The target market for the EcoCash Business Wallet is merchants, billers, payroll wallet holders agents and ordinary business people who are all integral in EcoCash’s ecosystem. Not only does the Business Wallet serve formal businesses but informal businesses can also use it. But the benefits they would enjoy would be not as much as those enjoyed by formal businesses. Not to mention the Business Wallet’s enhanced security (dual authorization for transactions) and operability across all sectors (informal and formal). One of the loudest (I think) feature of the Business Wallet is the ‘increased limits’. EcoCash’s business wallet transactions will see businesses being able to do maximum transactions that amount to $500 000, although this will depend on a business’s size. You only need to register for the service to be activated on your existing wallet. The registration can be done by contacting one’s Account Manager and complete a sign-up form. And once a business has an EcoCash Business Wallet, they can access it by dialling*152#. Stay tuned we will give more details. Remember to buy Techzim’s write-up on the Ecocash strategy: just send an Ecocash payment of $4.99 to the Techzim Merchant Number 83688 then email admin@techzim.co.zw the payment confirmation and we will send the write-up to you. If you want to use any other payment method please send an email and we will assist. And all this innovation whilst our banks are waiting for Econet to penalised to death for their benefit. Every innovation is welcome, they can be frustrating problems on the way but its to be expected. in terms of that Ecocash was backward Telecash merchants could always zip their funds on their own wherever they want a long as the bank is on zipit. API is for merchants only madevelopers are out of luck.